Portfolio – Kim Swisher Communications, LLC. We specialize in video production and photography services for our clients, providing the visual elements needed to capture a moment, tell a creative story or convey important messages. We film special events, corporate events and activities, training videos and television productions. We are the Northwood's most experienced aerial media provider. For more information on our services or to schedule, please contact Dan Dumas at (715) 437-0090. 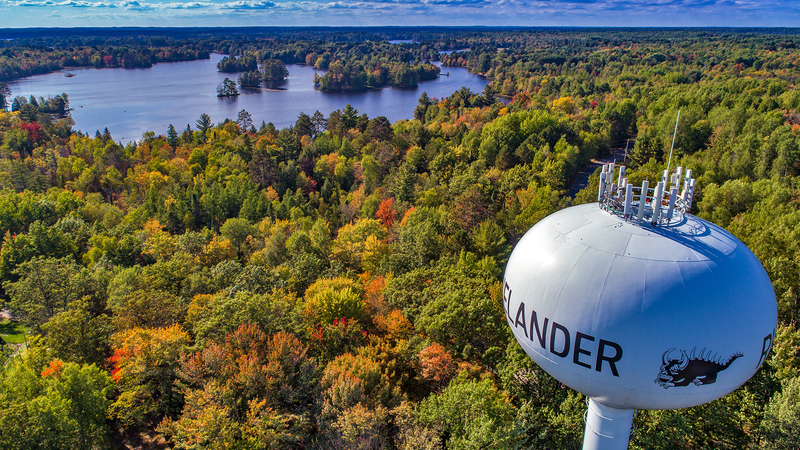 Nothing captures the beauty of the Northwoods like Aerial Imagery! We are the Northwood's most experienced provider at producing engaging imagery from unique perspectives. We are the exclusive aerial imagery provider for WJFW Newswatch 12. We utilize state-of-the-art ground and aerial ultra high definition equipment to produce exquisite imagery. We provide a quick turn-around time! We schedule your shoot as soon as weather permits, and provide your photos within five business days. We offer Realtor packages that include complete branding for maximum exposure, and utilize private video servers for 100% NWAR compliance. Capture your business for promotions. Video your meetings for later viewing. Create online libraries of your workshops and trainings. Create webinars for efficient training. We are committed to excellence, and we believe our work shows our commitment to clients. We are fully licensed and insured. Our drone pilot is FAA-certified, licensed and compliant on all federal regulations.